Newcastle United are looking at strengthening Steve McClaren’s defence in the final days of the transfer window. The club’s No 1 priority is a striker between now and Monday night’s transfer deadline given the team’s problems in front of goal. But a series of injuries have decimated McClaren’s options at the back. And the Gazette understands that the club is also assessing potential defensive recruits, having signed winger Andros Townsend and midfield pair Jonjo Shelvey and Henri Saivet already this month. 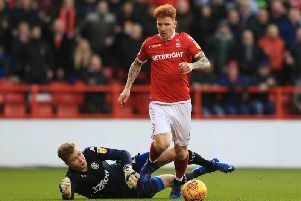 Head coach McClaren – without Paul Dummett, Massadio Haidara, Jack Colback and Kevin Mbabu – didn’t have a fit left-back for last weekend’s game against Watford at Vicarage Road. The relegation-threatened club’s 2-1 defeat left it 18th in the Premier League and two points adrift of safety. United – who have accepted a £250,000 bid from Wolverhampton Wanderers for long-serving Mike Williamson – have also had problems at centre-half this season, though Steven Taylor has now returned from long-term injury. Meanwhile, Bafetimbi Gomis’s expected departure from Swansea City is not imminent, with head coach Francesco Guidolin insisting he remains their player. The French forward has been linked with a January move to Newcastle United and Guidolin was coy when asked about his future. “Gomis is our player at the moment,” said the Swansea boss.